The Bishop Area is located in the very middle of California, where Highways 6 and 395 intersect. 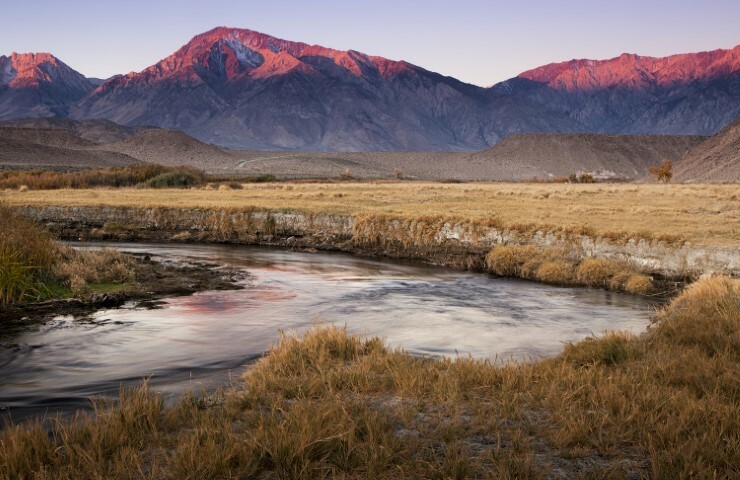 At 4,500’ – 8,000’ above sea level, the natural environment of Bishop changes quickly from the high desert sage and arid climate of the wide-open Owens Valley floor to an alpine wonderland of pine forest, rushing streams and gorgeous deep-blue lakes surrounded by the mighty mountain peaks of the Eastern Sierra. 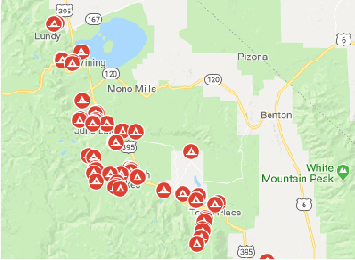 There are many things to do and see while visiting Bishop. If you like hiking, make sure you check out Bishop Creek Canyon, Mt. Whitney, or the lowest point in North America…Death Valley! 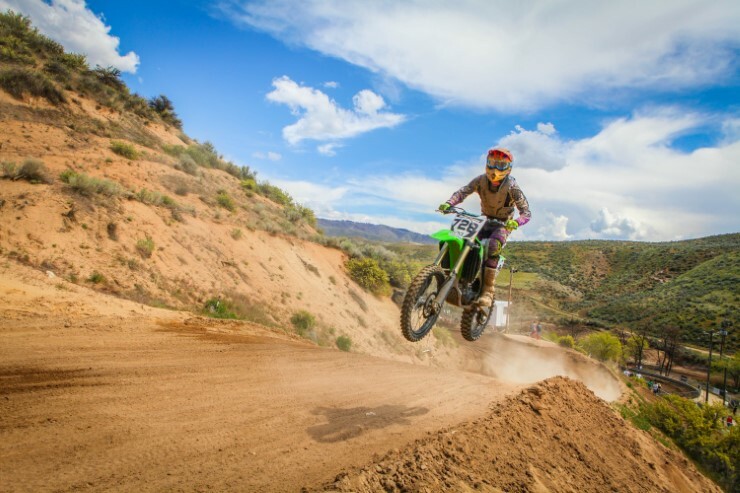 Other outdoor activities available are fishing, golfing, mountain biking, rock climbing, backpacking, horseback riding, hunting, ATV touring, snow sports in the winter, and of course RV Camping. 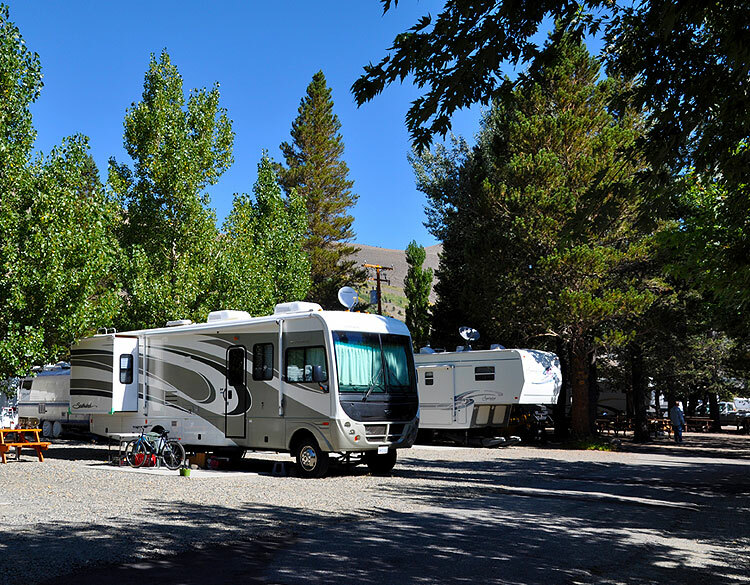 Adventure In Camping offers 14 different RV/campsites in the Bishop area, some which are open year round. Want to know about local activities going on in the town before making a reservation? Check out Bishop’s visitors information website to see what’s happening! You might not want to miss the Banff Film Festival in March, the Wild West Marathon in May, the Eastern Sierra Tri-County Fair in September or the Annual Tree Lighting Ceremony in December. Whatever season you want to visit, there are activities in town, or out under the starlit sky. Bishop offers something for everyone. And having your fully loaded trailer delivered to you by Adventure In Camping, sounds like the BEST way to camp!